The Venet is known as a flying mountain with hang gliders and paragliders because of its thermals and the three starting positions, which allow a start in every wind direction, well beyond the country's borders. The unique natural scenery and the possibility of long-distance flights over 250 km and more makes the fascination of the Flugberg. Thermal and cross-country flights are possible on request with good updraft conditions. 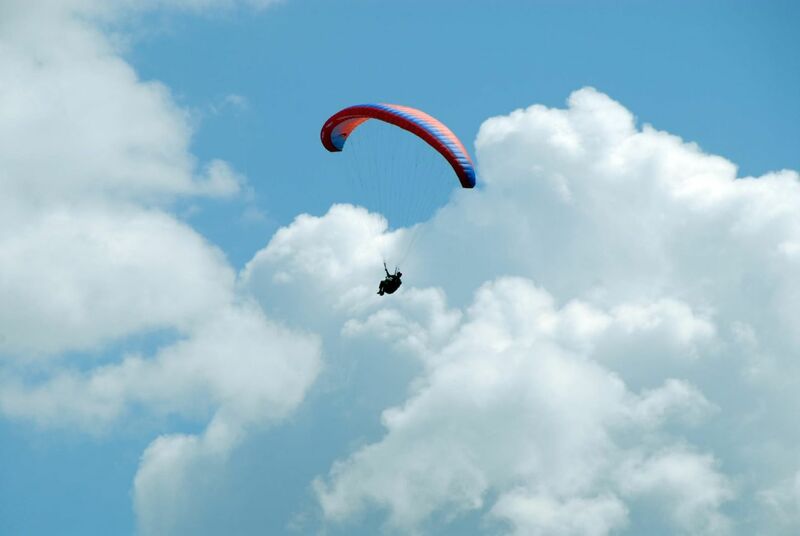 Experience the indescribable feeling of a paragliding tandem flight from Krahberg with specially trained flight instructor and special umbrella even without previous knowledge. Venetflieger-Drachenflieger-Paragleiter-Club: More information about the flying area and events are available here!